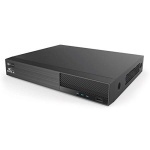 OYN-X Falcon DVR-4 4 channel supports AHD-HDCVI-HDTVI-CVBS up to 5MP Easy installation: within intuitive on-screen setup instructions, you will be able to set up the recorder with little or no previous knowledge. OYN-X Falcon DVR-8 8 channel supports AHD-HDCVI-HDTVI-CVBS up to 5MP Easy installation: within intuitive on-screen setup instructions, you will be able to set up the recorder with little or no previous knowledge. OYN-X Falcon DVR-16 16 channel supports AHD-HDCVI-HDTVI-CVBS up to 5MP Easy installation: within intuitive on-screen setup instructions, you will be able to set up the recorder with little or no previous knowledge.